"he has a doppelgänger named Donald, his invented twin brother"
Twisted Sifter does it again with 15 pix of doppelgangers. Astounding to say the least. I’m not a look-alike! is an ongoing project by François Brunelle (featured previously). 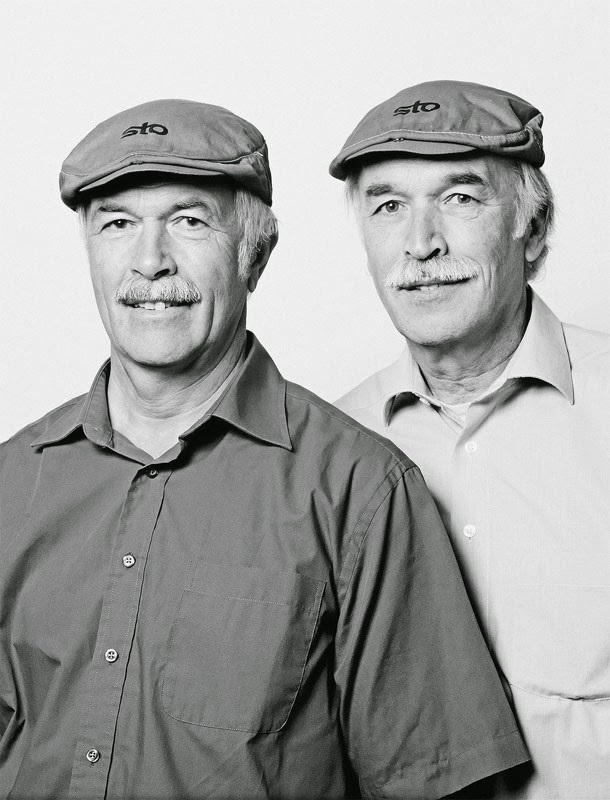 For the last fourteen years the photographer has been taking black and white portraits of unrelated doppelgängers and he has found and photographed over 230 look-alikes to date. Most people have found him and his project through his website and social media. 4% of the web comprise the internet us normal rubes are used to, the web accessible via Safari, Explorer, Chrome and Opera, among significant others, to do our usual thing whether it be email trolling, social networking a la Facebook or Google + or buying stuff from Amazon and Apple but the other 96%, the dark side of the web, can only be seen via browsers like Tor, a tool allowing us to see the mysterious and illegal though the mechanism of anonymity and tech, courtesy the US Navy. 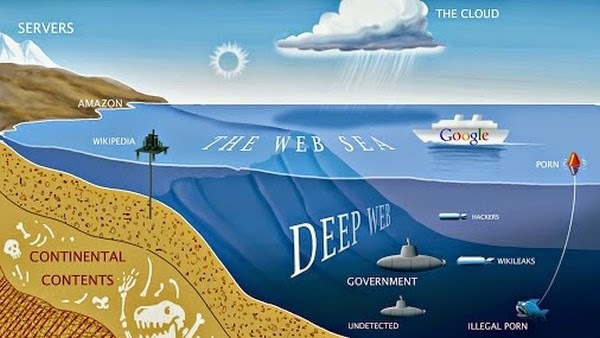 Seen below is a pretty cool graphic doing the iceberg thing showing just how vast the deep web truly is. The ‘Surface Web’, also known as the ‘Visible’ or ‘Searchable’ web, while significantly large at over 8 billion pages, only cracks the surface when it comes to the size of the Internet. The ‘Deep Web’, (also known as the ‘Invisible Web’, ‘Deepnet’, ‘DarkNet’, ‘Hidden Web’ and ‘Undernet’) refers to the content on the Internet that is not capable of being indexed by standard search engines, leaving the content ‘hidden’. 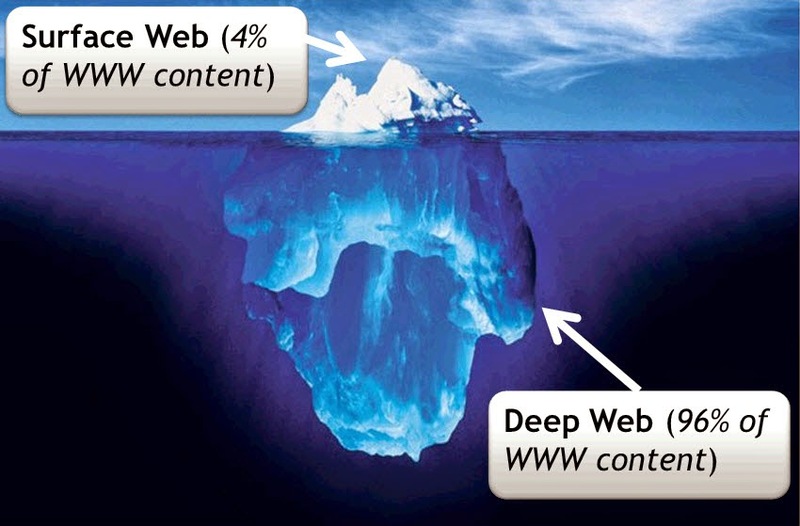 The Deep Web houses over 96% of the content on the web that is publicly accessible. The Deep Web contains 7,500 terabytes of information, compared to 19 terabytes of information in the surface Web. The Deep Web contains nearly 550 billion individual documents compared to the 1 billion of the surface Web. More than an estimated 200,000 Deep Web sites presently exist. Sixty of the largest Deep Web sites collectively contain about 750 terabytes of information – sufficient by themselves to exceed the size of the surface Web by 40 times. Looking at the foreign policy fubar from the financial perspective brings up the possible death of the petrodollar with the Ukraine CF being the prime driver of same, courtesy the US, with help from Europe and the Neocons. Read the rest of this in depth article from Zerohedge to see just how stupid the US has been regarding FP. 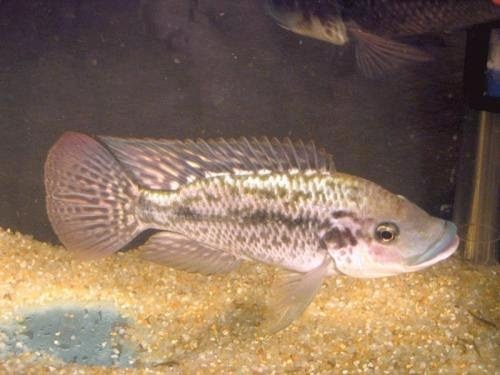 The social behavior of Mozambique tilapias (Oreochromis mossambicus) native to southern Africa is very complex. The strict hierarchic ranking among males is fought out in so-called courtship arenas. 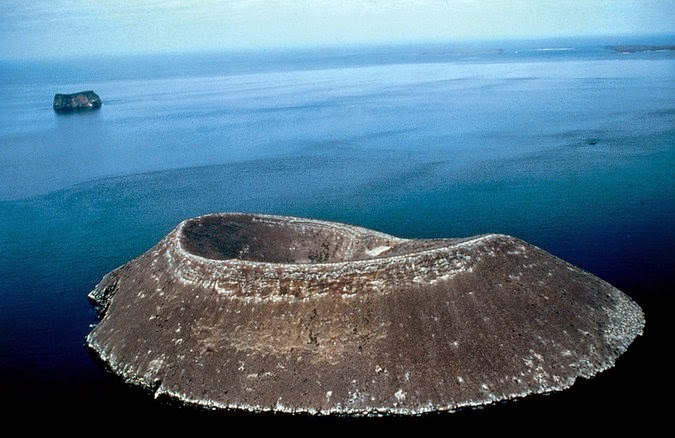 With their mouths, male tilapias make excavations in the sand in the middle of an arena with the aim of attracting females to spawn in these nests. At the same time, they act aggressively to keep other males away. 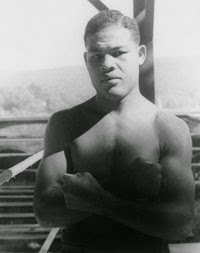 Dominant males have been observed to urinate more often and squirt larger quantities of urine in the water during fights compared to their subordinate rivals. The urine contains pheromones that reduce aggressive behavior in other males. The compounds also lure females to the nest and modify their hormonal status by accelerating oocyte maturation. Thus the pheromones help to synchronize female spawning and external fertilization by the males and so to increase the odds of reproductive success. Stupidity Bomb or, ..."W's" Iraq incursion, better known as Shock & Awe, has come full circle in both BRT's Lurching toward catastrophe as well as in an ironic piece posted by Vox, an awesome news site admired by yours truly. It keeps going: the US is intervening on behalf of Iraqi Kurds, our ally, because their military has old Russian-made weapons, whereas ISIS, which is America's enemy, has higher-quality American weapons. 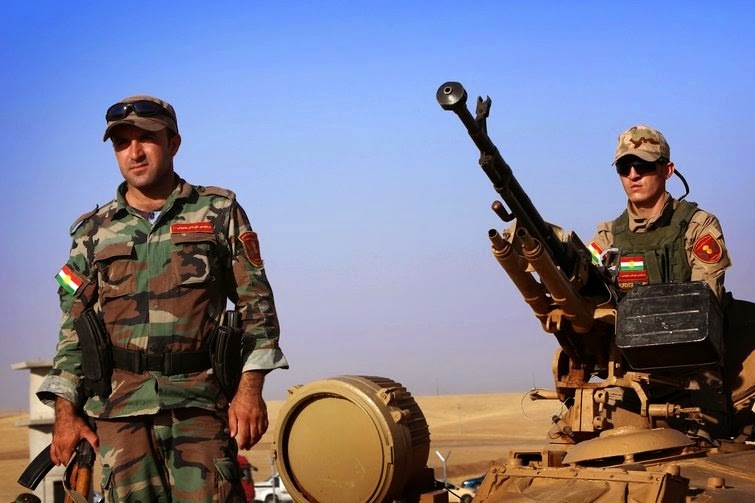 "[Kurdish forces] are literally outgunned by an ISIS that is fighting with hundreds of millions of dollars of U.S. military equipment seized from the Iraqi Army who abandoned it," Ali Khedery, a former American official in Iraq, told the New York Times. When looking at this, one sees the utter failure of US foreign policy on all fronts from the Ukraine fubar to Afghanistan, Libya and Iraq, along with abject obedience to Israel, an initiative that has not only killed at least a million people and forced evacuation of millions more but also has cost trillions of dollars to implement while supporting a mission that has been an absolute disaster to the long term well being of America. The question to ask now is, how do we take back America from corrupt and inept politicians who kowtow to monied interests in order to remain in office to the detriment of a once great nation that actually stood for something of value back in the day. Bot swarms, the stuff of Sci Fi, is no longer fiction as seen in this short clip showing how 1000 bots execute group behavior in similar fashion to any organism capable of acting as a group entity doing a specific task. Very cool tech without question. Ants, schooling fish and flocking birds all have something in common – they can achieve things by working together that they could never do on their own. With that in mind, researchers are now looking into ways of allowing "swarms" of communicating robots to accomplish tasks that are difficult or even impossible for single robots. 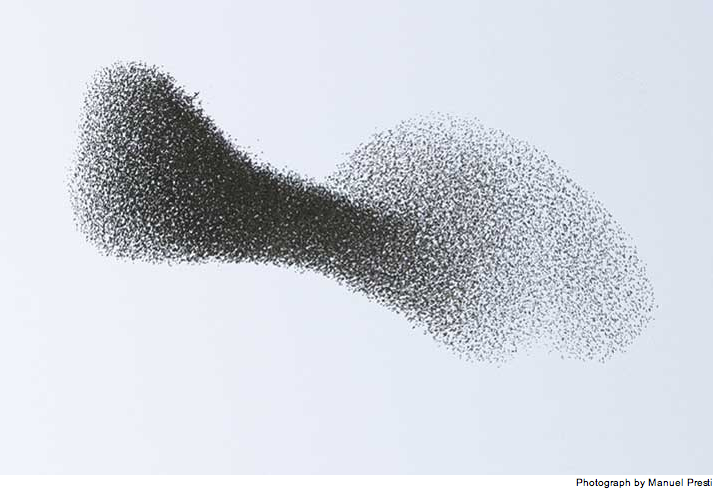 Harvard University recently performed an unprecedented demonstration of that behavior, in which a batch of over 1,000 tiny Kilobots arranged themselves into a variety of pre-assigned two-dimensional shapes. 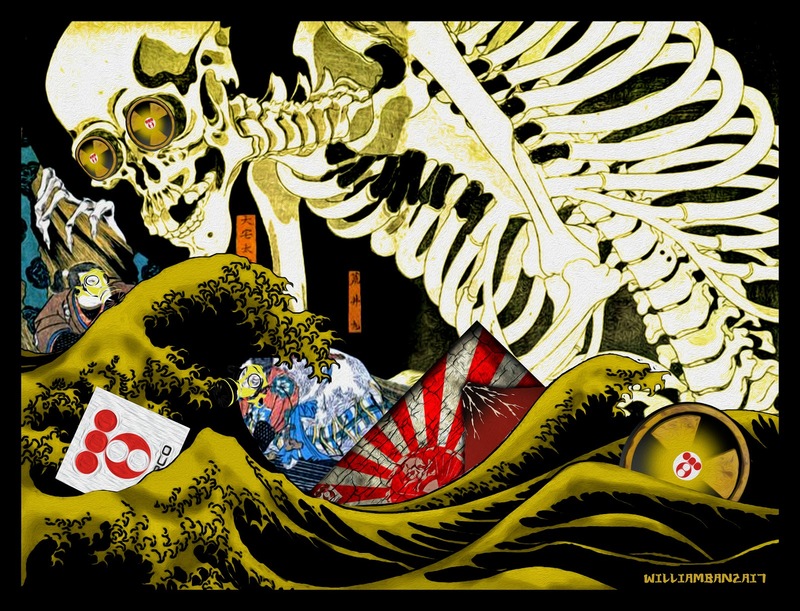 Fukushima, the disaster that keeps on giving, no longer rates news coverage by the mainline press because radiation is silent and invisible, something to be ignored until the inevitable impact of same makes it's ugly face known to all things relating to life on planet earth. Wall St. Journal, Aug 7, 2014 (emphasis added): [Shunichi Tanaka, chairman of the Nuclear Regulation Authority] said [Tepco] needs to get its priorities straight when it comes to work to decommission [...] Fukushima Daiichi [...] “The biggest risk is the trench water. Until that matter is addressed, it will be difficult to proceed with other decommissioning work,” [Tanaka] said on Wednesday at his weekly news conference. “It appears that they are getting off track,” he told reporters. Tepco has been trying to remove some 11,000 metric tons of water that contains dangerous radioactive materials such as uranium and plutonium from a trench that runs from the Fukushima Daiichi plant’s No.2 reactor building. […] “What if another tsunami hits the plant and the highly contaminated water in the trench is discharged… ?” Mr. Tanaka asked reporters. The cops are armed, armed with military grade tech, you know, choppers, assault rifles, grenade launchers and armored vehicles, complete with personal body armor for the cops who will run the vehicle in question. Next may come gatling or 50 cal machine guns, M1 tanks and drones, lots and lots of drones, some of which may be equipped with weapons like laser guided bombs & missles, like those in Iraq, Afghanistan and Libya, courtesy the arms merchants and government because military surplus gear makes money, right? Homeland Security, the prime driver of all things related to arming cops to the teeth, makes it rather foreboding does it not? FERGUSON, Mo. — For four nights in a row, they streamed onto West Florissant Avenue wearing camouflage, black helmets and vests with “POLICE” stamped on the back. They carried objects that doubled as warnings: assault rifles and ammunition, slender black nightsticks and gas masks. They were not just one police force but many, hailing from communities throughout north St. Louis County and loosely coordinated by the county police. Amerika with a K seems apt if you ask me. 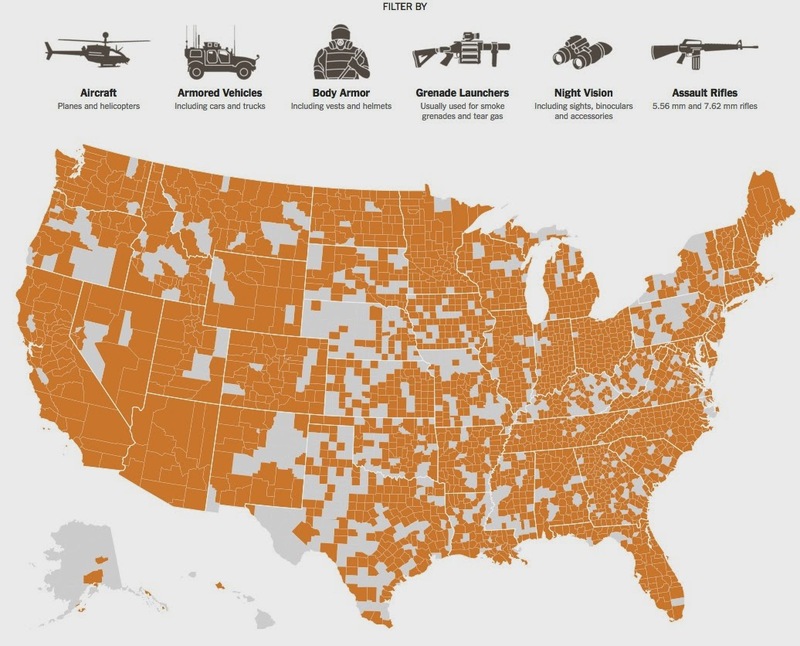 Why armored vehicles in a Midwestern inner suburb? Why would cops wear camouflage gear against a terrain patterned by convenience stores and beauty parlors? Why are the authorities in Ferguson, Mo. so given to quasi-martial crowd control methods (such as bans on walking on the street) and, per the reporting of Riverfront Times, the firing of tear gas at people in their own yards? (“ ‘This my property!’ he shouted, prompting police to fire a tear gas canister directly at his face.”) Why would someone identifying himself as an 82nd Airborne Army veteran, observing the Ferguson police scene, comment that “We rolled lighter than that in an actual war zone”? The great cathedral builders would relate to this gem without issue. 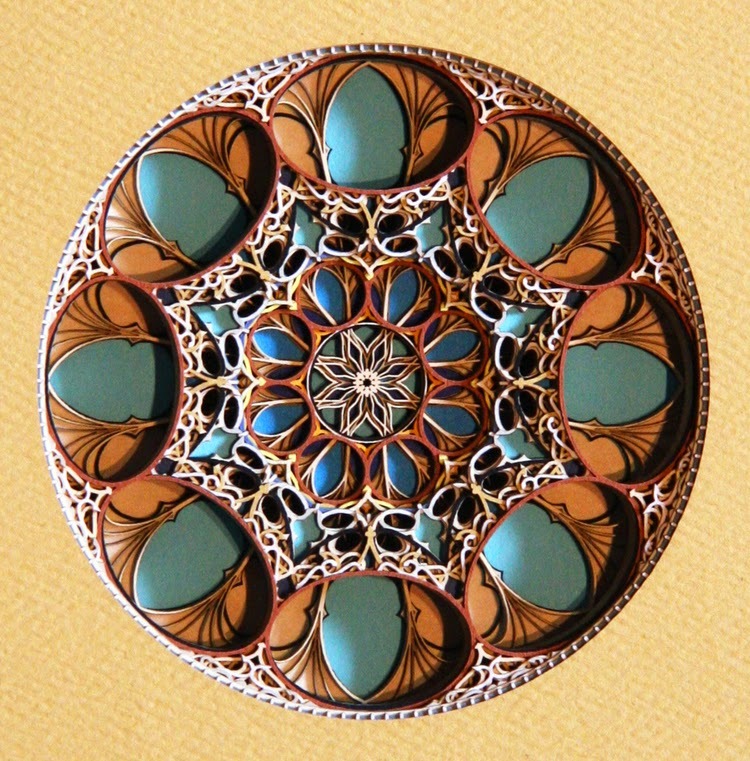 As seen in Twisted Sifter, artist Eric Standley takes tech to another level with work like this. 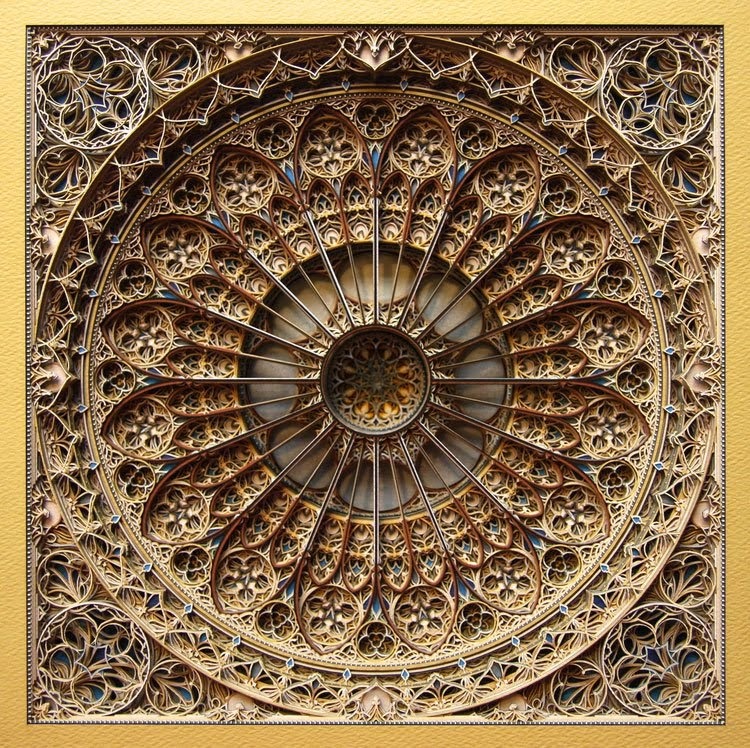 Eric Standley (featured previously) is an artist and educator (associate professor of studio art at Virginia Tech) whose ongoing series of 3D laser cut paper art is found at the intersection of art, tech, history and mathematics. Standley’s stacked paper sculptures can take up to six months to plan. Many of his artworks involve more than 100 sheets of stacked paper, every layer a meticulously drawn vector design. The ‘paper architect’ must account for structural elements, overlaps, curves and unsupported arches. Once satisfied with his design, Standley uploads his complex vector drawings to a laser-cutting machine. The cutting process itself can take up to 60 hours to complete. Below is a gallery of Standley’s newest artworks since we last featured him on the Sifter. For more, be sure to visit his official website at eric-standley.com. Exquisite says it all. Seen below is another gem. Amazing pix of one of the good guys, a bluebottle fly larva that's exceedingly precise at what it does. 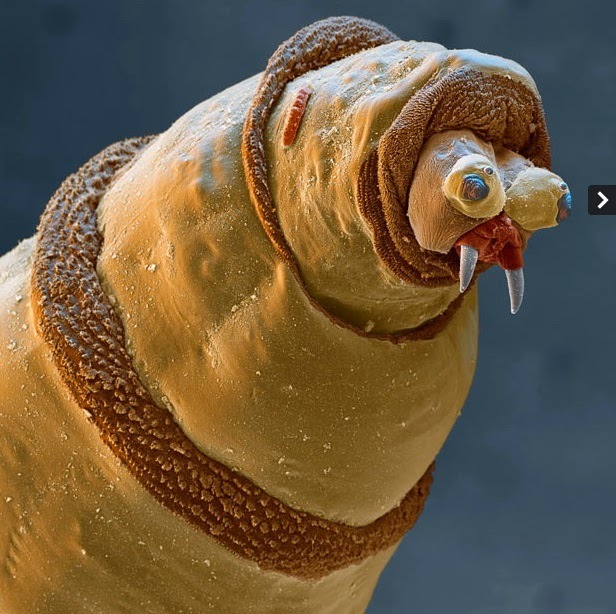 A coloured scanning electron micrograph (SEM) of the head of a maggot or the larva of a bluebottle fly (Protophormia sp.) with tiny teeth-like fangs extending from its mouth. The maggots of this fly are used medicinally to clean wounds. The maggots are sterilised and placed in the wound, where they feed on dead tissue and leave healthy tissue untouched. Their saliva contains anti- bacterial chemicals which maintain sterility in the area. Maggots are used on ulcers and deep wounds away from organs or body cavities, most often being used to treat diabetic ulcers on the feet. 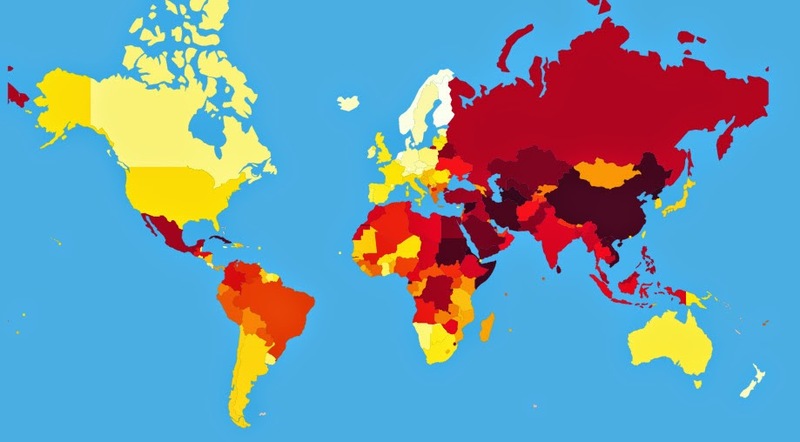 This map, courtesy Reporters Without Borders, depicts the level of freedom the 4th estate has in the world. Needless to say, the lighter the color, the freer the press. Had to put in the tech version as the research MS has done on this is incredible. The precursor to this is Photosynth, awesome tech that brings 3D to 2D photos. Without question, the NSA, CIA, FBI and significant others will cap on this tech in a NYC second. 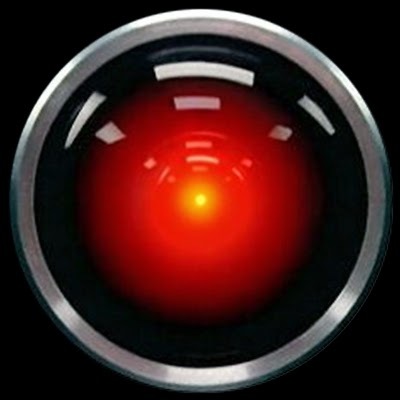 They recovered intelligible speech from a video of a potato chip bag that was shot at a distance of 15 feet behind soundproof glass. The team also obtained useful audio signals from videos of aluminum foil, the surface of a glass of water, and the leaves of a potted plant. The researchers, led by Abe Davis, a graduate student at MIT, will present their findings at the Siggraph computer graphics conference to be held next week in Vancouver, Canada. The Voyage of the Beagle is enchanting. Darwin's thought process in starting to formulate the notion of evolution to explain how live evolves, is a revelation, a glimpse into the creative process every "artist" goes through when working out a new idea whether it be evolution, a jazz composition or the design of a new building. In this light, a terrific article tiled, In Darwin's Footsteps, an amazing discovery, made by researchers Peter and Rosemary Grant, proves that evolution can happen in real time. 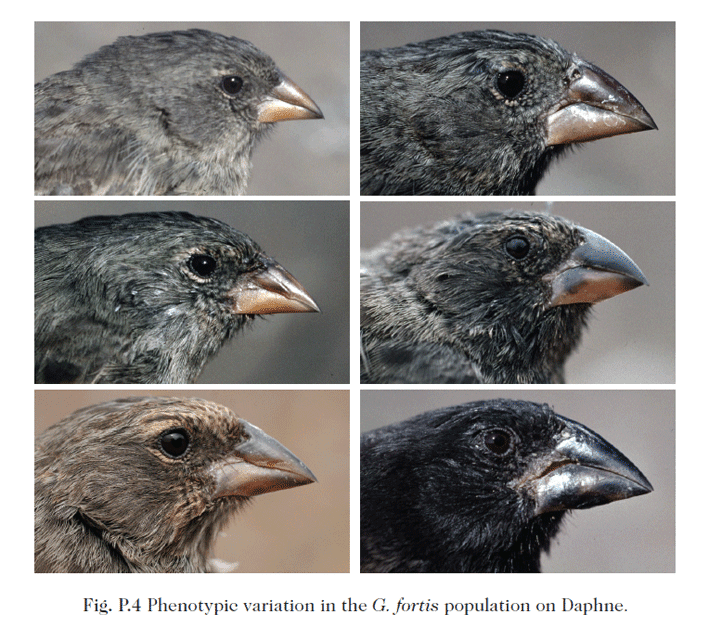 Seen below are pictures of finches who reside on Daphne Major, a volcanic island in the Galapagos. 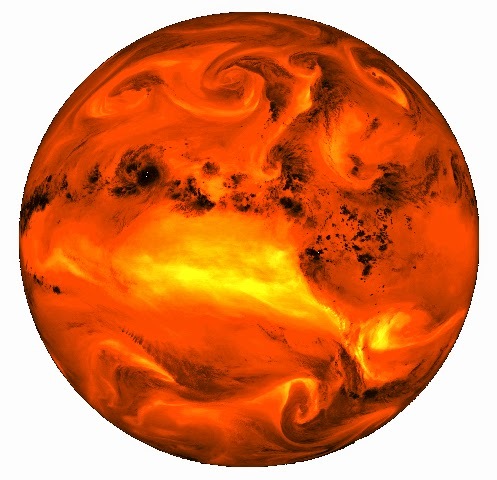 A new study from scientists at the University of Miami Rosenstiel School of Marine and Atmospheric Science and colleagues confirms rising levels of water vapor in the upper troposphere – a key amplifier of global warming – will intensify climate change impacts over the next decades. The new study is the first to show that increased water vapor concentrations in the atmosphere are a direct result of human activities. Something is different this time. This is the worst Ebola outbreak in recorded history, and this particular strain appears to be spreading much more easily than others have. So far, 1,323 people have been infected in the nations of Guinea, Liberia, Nigeria, and Sierra Leone. Of those 1,323 victims, a whopping 729 of them have died. But a number that is even more alarming was buried in the middle of a Reuters report on Friday. According to Reuters, “more than 100 health workers” that have been fighting Ebola in Africa have contracted the virus themselves. Considering the extraordinary measures that these health workers take to keep from getting the disease, that is quite chilling. We are not just talking about one or two “accidents”. We are talking about more than 100 of them getting sick. 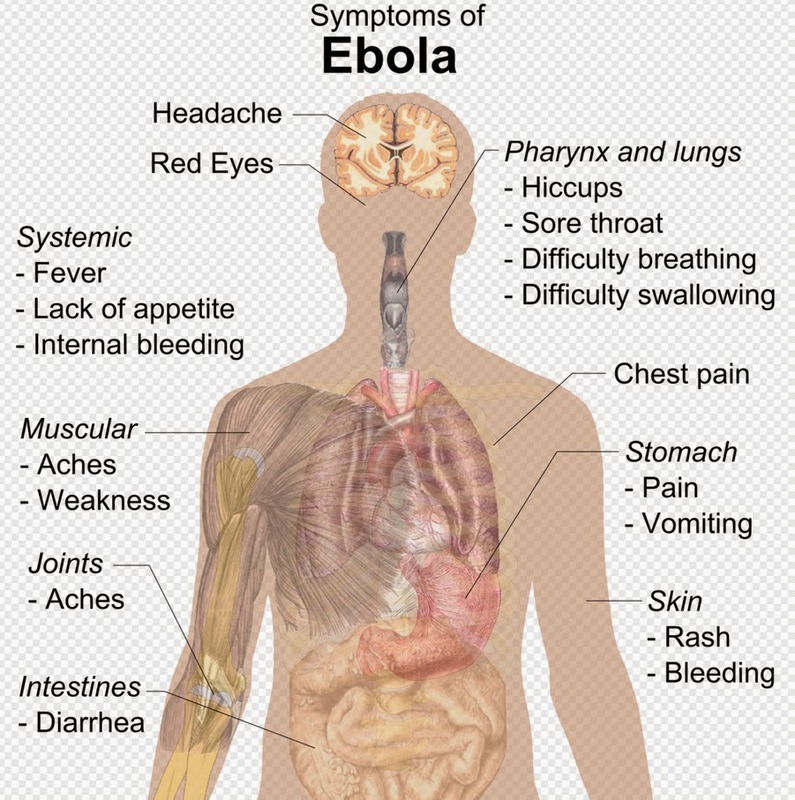 If Ebola is spreading this easily among medical professionals in biohazard body suits that keep any air from touching the skin, what chance are the rest of us going to have if this virus gets out into the general population? 12 Monkeys comes to mind when reading about Ebola as this amazing film gives you the willies, you know, the creeping feeling of dread one gets regarding a possibly catastrophic event happening, something totally out of anyone's control, something truly frightening like an Ebola type virus getting out into the wild, able to kill with horrific efficiency. Yours truly is certainly not panicking as of yet but keeping a watchful eye on this rapidly evolving situation is not such a bad idea. Seen below is the life cycle of this most dangerous of diseases. Something different applies here as well. "If the situation continues to deteriorate, the consequences can be catastrophic in terms of lost lives but also severe socio-economic disruption and a high risk of spread to other countries," she said, as the WHO formally launched a $100 million response plan that includes deploying hundreds more health care workers. 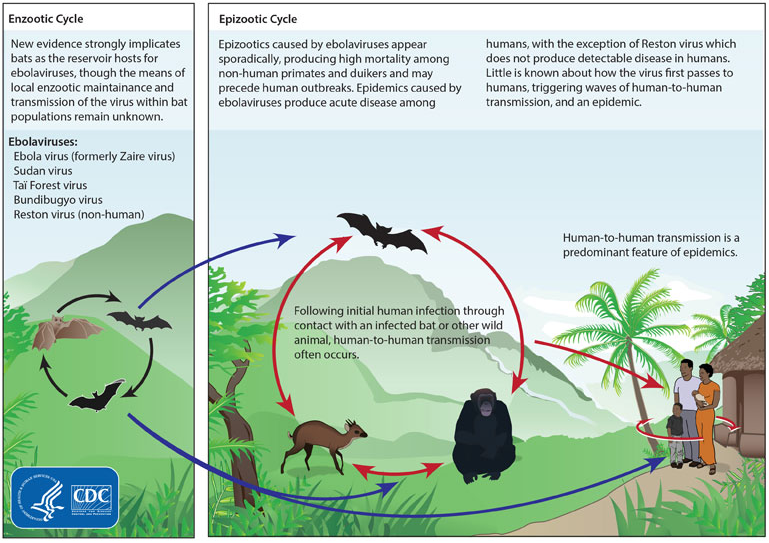 Click here to get the CDC's take on Ebola. Informative and witty, this tells why NN is vital to the National Interest. Condemning Putin without hard evidence regarding MH-17 is dangerous at best because Russia "ain't" Iraq, Libya, Iran or Syria. It's a nation armed to the teeth with nukes and the ability to deliver them with great efficiency to anywhere in the world without issue. In BRT, the mantra yours truly tries to abide by as best as possible is: vetting. How good is the content yours truly is quoting? Is it kosher, is it viable, can it stand up to scrutiny, something "W" violated to the max when gaining hard US intel in order to sell an illegal war to America. The same thing is now happening in the Ukraine where no hard evidence as to exactly what happened to MH-17 has been released, only conjecture, hearsay and invective. Three Ukrainian planes have been reported shot down with missiles, scores of soldiers and separatist fighters killed, and an apartment block destroyed by an air strike, though it is disputed who fired the missiles that killed 11 people inside. Notice the word REPORTED, not fact but hearsay. Because Anglo-American corporate media – from CNN to Fox (who tried to buy Time Warner, which owns CNN) – said so. Because the President of the United States (POTUS) said so. And mostly because Kiev had vociferously said so in the first place. 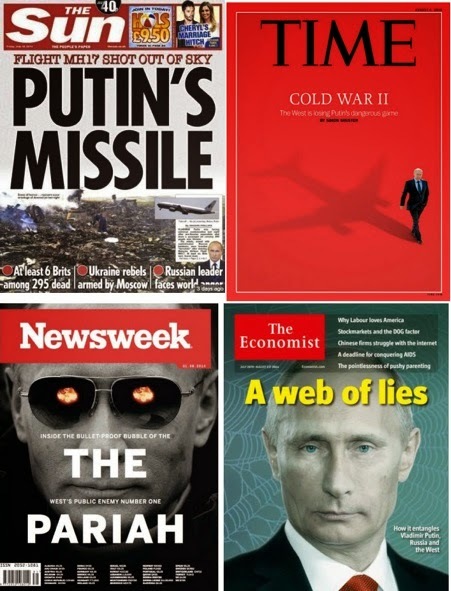 It doesn’t matter that President Putin has stressed the MH17 tragedy must be investigated objectively. 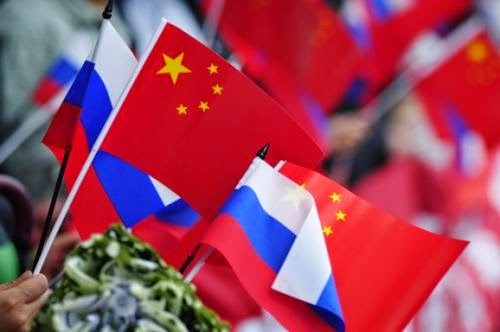 And “objectively” certainly does not mean that fictional ”international community” notion construed by Washington – the usual congregation of pliable vassals/patsies. 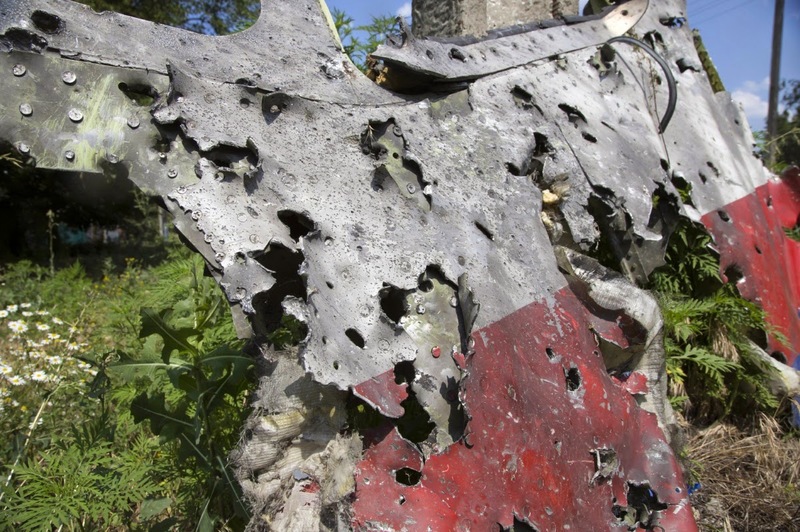 A simple search at reveals that MH17 was in fact diverted 200 kilometers north from the usual flight path taken by Malaysia Airlines in the previous days – and plunged right in the middle of a war zone. Why? What sort of communication MH17 received from Kiev air control tower? If we now consider the armament of a typical SU 25 we learn this: It is equipped with a double-barreled 30-mm gun, type GSh-302 / AO-17A, equipped with: a 250 round magazine of anti-tank incendiary shells and splinter-explosive shells (dum-dum), arranged in alternating order. The cockpit of the MH 017 has evidently been fired at from both sides: the entry and exit holes are found on the same fragment of it’s cockpit segment! Isn't it time to find out what really happened to Malaysian Flight MH17 before it's too late. Before the hounds of hell are unleashed as they were in 1914. Something to consider if you ask me. Addendum: A shelved BBC video showing a reporter interviewing villagers who saw a jet approach MH17. Interesting to say the least. Click here to read the transcript. Maybe the politicos of the US should look at this before rushing to judgment. Sounds like a viable plan to me. And one last link from Zerohedge describing Russia's take on the MH17 tragedy. Worth reading without question. The baying of hounds indeed. Reaping the whirlwind applies here thanks to the feckless Hobby Lobby decision, courtesy the SC. 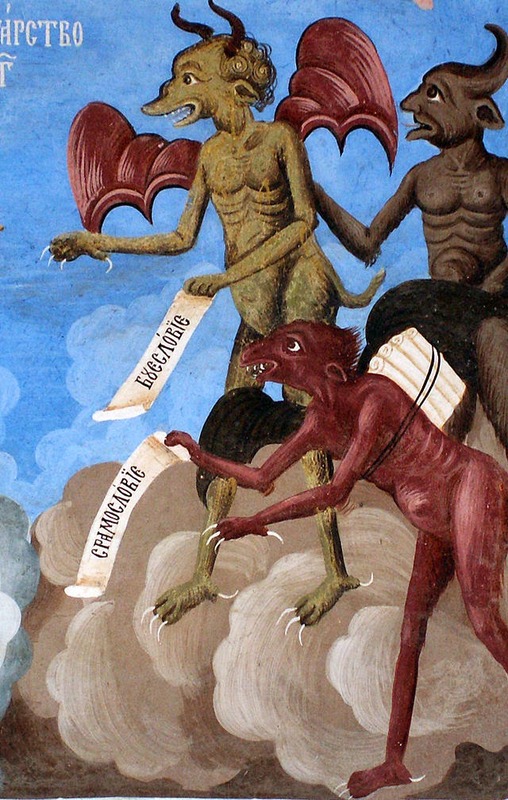 Seems satanists are demanding the same rights as fundamental christians but this time, on a woman's right to choose along with the unrestricted worship of Satan. 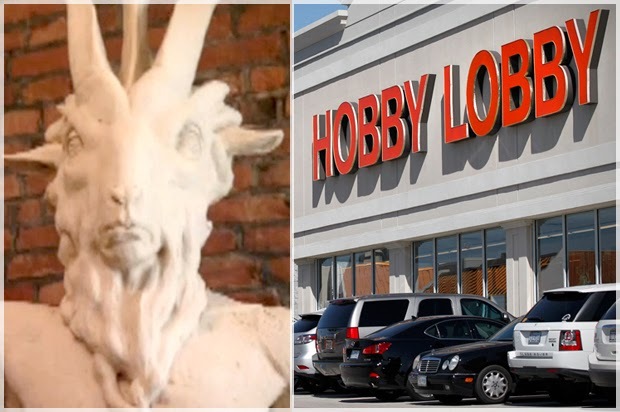 Hobby Lobby's a Pyrrhic victory without question. Corporations as people and the shattering of the corporate veil, will keep this version of the supremes up to their eyeballs in a CF of their own making, something akin to what our esteemed congress is doing in terms of inept governance. It's not the Flying Spaghetti Monster but, as per all religions, the belief system's the same.